Rusal owns 93 percent of Windalco in Jamaica, which produces about 1.95m tonnes of bauxite each year at its Ewarton refinery. May 20 (teleSUR) U.S. sanctions against Venezuela and Russia are causing collateral economic damage in the Caribbean, particulary to nations heavily reliant on bauxite industries, such as Jamaica and Guyana. 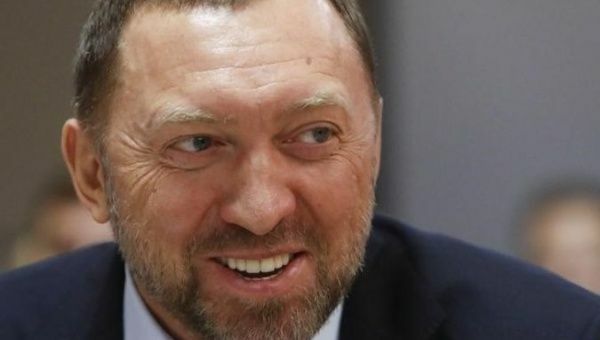 Sanctions against Russian aluminum giant Rusal and its owner, Oleg Deripaska, have affected extraction and production in Guyana: Rusal owns 90 percent of the Berbice-based Aroaima Bauxite Company of Guyana Inc. The firm is responsible for producing and shipping roughly 1.5m tonnes to the Rusal-owned Nikolaev refinery in the Ukraine each year. In Jamaica, Rusal owns 93 percent of Windalco, which produces some 1.95m tonnes of bauxite each year at its Ewarton refinery. Regardless of U.S. claims that such sanctions are targeted and not intended to have extraterritorial consequences, Caribbean Community (Caricom) governments and thousands of workers are now facing economic and social impacts as a result. Robert Montague, Jamaica’s minister of Transport and Mining, told parliament he was actively seeking details about the sanctions and was lobbying U.S. authorities about the impact such measures may have on Windalco. He said that despite the U.S. denial that sanctions are “targeting the hardworking people who depend on Rusal and its subsidiaries,” Jamaican authorities are devising contingency plans to guarantee the company’s operations aren’t hampered. Rusal’s Jamaican operation employs some 1,200 workers and earns roughly US$164 million each year: approximately 27 percent of the industry’s annual export earnings, according to United States Politics and Policy. With the U.S. government refusing to recognize Venezuela’s May 20 general elections while threatening to impose even more sanctions, other Caribbean nations relying on PetroCaribe for energy supplies are becoming increasingly concerned. Trinidad and Tobago and the Eastern Caribbean as a whole could start to feel the effects of more people leaving Venezuela as a result of the “economic war” being waged by the U.S. government and its junior partners against Venezuela.